'Sword Art Online: Hollow Realization' is the third game based off the popular light novel and anime series 'Sword Art Online' to release in North America. Unlike its predecessor 'Lost Song,' which was an action game, 'Hollow Realization' plays more like 2015's 'Re: Hollow Fragment.' 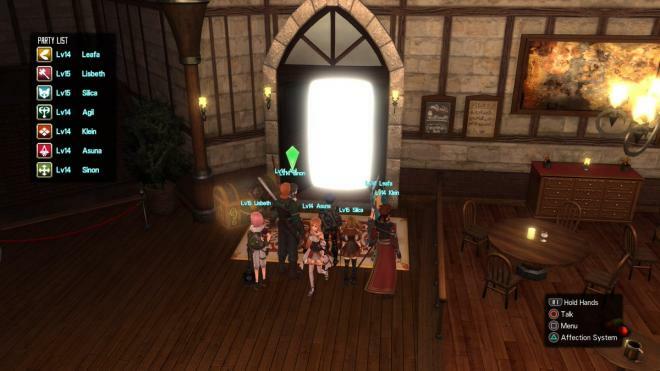 The role-playing game allows players to control series' protagonist Kirito as he explores a new virtual reality game called Sword Art: Origin. While there are plenty of games based on successful anime series, 'Sword Art Online' is unique in that the television show is actually about people playing an MMORPG. Due to this premise, there's a lot of potential for a great game here as it could explore the life of players in the game and once they log off. This wasn't possible in 'Re: Hollow Fragment' due to the characters being stuck in the game world unable to log-off, but 'Hollow Realization' takes place after the traumatic ordeal has occurred. Sadly, instead of doing something interesting with this thrilling plot device, developer Aquria made a pretty by-the-numbers RPG. The life outside of the game world is barely touched upon and even the fact that players are back in a rebooted world that they were previously stuck in is basically ignored. Barely any worry is addressed about going into the world of Aincrad again (although it's now has been renamed Ainground). The lack of ambition is certainly disappointing, but I was able to find a pretty enjoyable role-playing game after I got over the rather ridiculous original storyline. The big gameplay change from previous installments is that I was now accompanied by three computer-controlled partners. It was my job to tell them what to do during combat (such as telling them to heal or use their special attacks). I could even press the right trigger in order to praise my partners after they would do something I liked (such as casting heal). This is a pretty awesome idea in theory, as they are supposed to pick up on the player's commands, but the artificial intelligence is pretty poor. So, instead of having competent partners, it often felt like I was babysitting. I would often ask to be healed to no avail and watch as characters stood in front of enemy attacks without trying to dodge. Thankfully, combat isn't overly difficult in 'Sword Art Online' so the poor help isn't too much of a bummer. Most battles simply consisted of my character getting in close, mashing the square button to unleash a combo attack, and then dodging out of the way of enemy attacks. Much like MMOs, the area that will be impacted by upcoming enemy attacks is shown by the game, so it's pretty easy to get out of the way before anything lands. As long as I didn't get overly aggressive and made sure to dodge attacks, I was able to defeat enemies above my level with relative ease. As I leveled up Kirito and his friends, I unlocked skill points that could be used on new abilities. These are mostly special attacks that take energy to use, but the skill tree is quite diverse and allows players to go into different character classes later in the game (I ended up becoming a tank). I was able to cast aggro on foes and then finish them off with big combo attacks. It's a shame that the combat is merely passable and isn't more interesting as it makes up a large bulk of the experience. 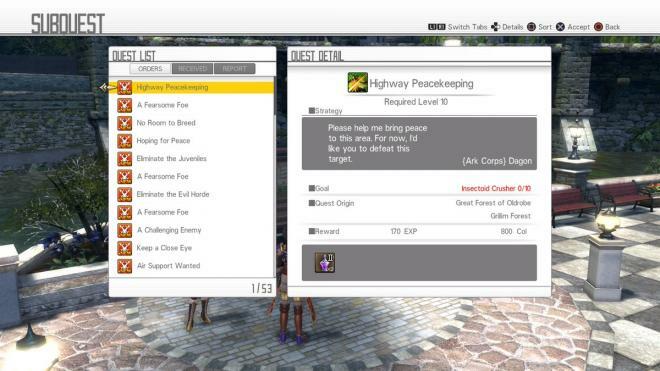 No matter if I was doing a story quest (which revolves around an interesting new character named Premiere) or one of the optional missions to earn money, I was always fighting enemy after enemy. It gets repetitive quickly, and I was never hooked into the grind. It's too bad, as there are some really interesting ideas in 'Hollow Realization.' Boss battles take the form of giant raids, and players will get to see dozens of partners trying to take down colossal enemies. Sadly, it looks cooler than it actually is, as it just means that the player has to continually help out more incompetent fighters. There's also some interesting story ideas that revolve around a NPC that seemingly has no function, but the game has so much filler dialogue that I'd often advance through a 10-minute conversation and nothing of note would happen. The interesting parts of 'Hollow Realization' are spread far too thin. These long dialogue sequences are also not helped by the localization coming across as rushed. There are a lot of strange word choices in the dialogue, and sometimes this can lead to confusion. For example, I was lost for about two solid hours due to a character telling me to go to the "mine," yet there was no area on the map was called or looked like a mine. I eventually stumbled upon what I was supposed to do, but it was due to me brute-forcing my way and checking out every corner of the map. A quick search online shows that several other players were confused by this same line of dialogue, and it's rather unfortunate that the game shoots itself in the foot like it does. The biggest area where 'Hollow Realization' improves upon previous 'Sword Art Online' titles is in the visual department. That's not to say that it looks fantastic, though, as 'Re: Hollow Fragment' is one of the ugliest games on the system due to it being a port of a PSP game. The latest offering looks much better as the fantasy world is filled with bright colors, interesting looking monsters, and better looking environments. Issues are still present, such as the game's janky camera that will often clip through mountains and leave the player staring at a blank screen (such as above), but at least 'Hollow Realization' looks like it was designed with a high definition console in mind. 'Hollow Realization' features an energetic soundtrack that makes battles feel more suspenseful, and complements the constant sound of strikes being landed during combat. That said, none of the music stayed in my head after the game was turned off and the battle theme isn't ingrained in my memory like it often is for standout RPGs. The only real disappointment is the lack of English voice-over, but the game does have the voice actors from the Japanese anime present. That means fans will hear familiar voices such as Yoshitsugu Matsuoka as Kirito, and it's well acted. While I do think 'Hollow Realization' would've been better off as a shorter, more focused game, there is no denying that Aquria is packed it full of content. There's a huge map to explore, hundreds of missions to finish (I would regularly have over 50 quests waiting to be accepted when I would check the in-game bulletin board), and this is a game that can easily keep players busy for over 100 hours if they don't get sick of the repetition. There's also an online multiplayer mode that is unlocked after the first "raid," and allows for players to team up and grind levels. While story quests can't be done in this mode, it's far more fun playing with actual people rather than dumb AI. So, whenever I needed to grind out some levels in order to progress, I would hop online rather than going it solo. It also has various difficulties to choose from, so there's always a solid challenge to tackle. While 'Sword Art Online: Hollow Realization' is definitely a step up from its predecessors, it's still too rough around the edges to really appeal to anyone other than fans of the anime. It fails to take advantage of the unique premise, and an unpolished localization makes the game overly confusing in spots. 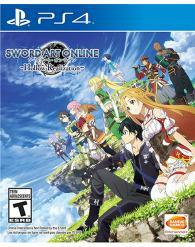 Hopefully 'Sword Art Online' will get a great game adaptation, but that still hasn't happened yet.